Bombers Over North Africa B-17 B-24 B-25 B-26 WWII DVD covers the air war over North Africa and Tunisia with (3) WWII-era films. See B-25s and B-17s bomb Axis troops and ships in Tunisia. Film #1 - Bombers Over North Africa 1944 - General Eisenhower praises the AAF contributions to the North Africa campaign. Natives fuel B-25s of the 321st Bomb Group, B-17s are armed and crews are briefed for a raid on Mateur, Tunisia. Mateur is bombed, crews are interrogated upon return. General Doolittle sums up, shows demolished Axis shipping and shattered German aircraft. Run-time of 22 minutes in B&W. Film #2 - Tunisian Victory - On the joint Anglo-American campaign for North Africa from initial landing to the final triumph. 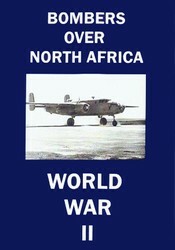 Follows both British and American armies and airforces from the planning of Operation Torch to the liberation of Tunis. Run-time of 76 minutes in B&W. Film #3 - Conquest By Air 1945 - The story of the air campaign over Europe. B-26, B-17, B-24, and B-26 bombers, bombing of Rouen, Schweinfurt, Ploesti, Bremen and Berlin. Germany in ruins. Run-time of 20 minutes in B&W. 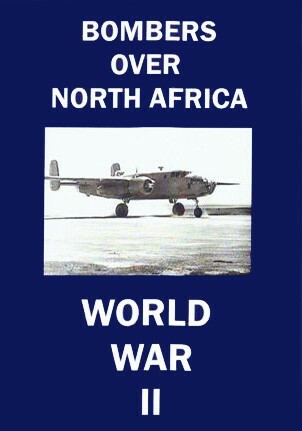 Total run time for Bombers Over North Africa B-17 B-24 B-25 B-26 WWII DVD is about 1 hour, 58 minutes in B&W. Format is NTSC DVD.